The scales of justice are a familiar symbol in modern law. They’re all about balance. When it comes to your indoor air quality, you deserve balance, too. However, too often your air is either too dry or too moist. Dry air can be an annoying instigator, causing nose and throat ailments and other health issues. Moist air is no angel, either. It can aggravate asthma, allergies and other breathing conditions. Plus, it often conspires with other bad influences to produce mold and ruin your furniture and other valuables. 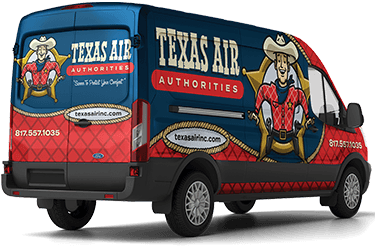 Texas Air Authorities has a full range of exceptional humidifiers to pump moisture into your dry air and top-of-the-line dehumidifiers to remove excess moisture from humid air. When we say, “It’s not the heat, it’s the humidity,” you can believe us. Quite often, it’s the excess moisture in the air that is causing you to work up a sweat indoors, especially when the reading on the thermometer suggests you should be cool and comfy. Well, don’t sweat it. Call the authorities—Texas Air Authorities. We’ll pull out the ultimate weapon—the dehumidifier that’s just right for your home. That sucker will gun down the excess moisture and restore your comfort for years to come. When dry air is the culprit disturbing your indoor air quality, we’ll track down the problem quickly and professionally. Then, our technicians will arm you with the most efficient humidifier to meet your comfort needs without picking your pocket. We’re the team you want on the case for all of your indoor air quality challenges, including air purification, air filtration, air ventilation, zone controls, smart thermostats, commercial IAQ and more. Simply fill out our online form or call us at 817-402-3576.